Argent Plumbing, Heating & Air Conditioning renewed its scholarship program in 2018. The company will award a $500 scholarship to a 2019 graduating senior who will be pursuing an undergraduate degree in Engineering from an accredited New Jersey college or university. For years, Argent Plumbing, Heating & Air Conditioning has been supporting good causes in our community and mentoring young people. Now we are happy to be able to help them during their studies. We are also using our scholarship program to raise awareness for the important issue of climate change, and the steps homeowners and businesses can take to increase the efficiency of their appliances. You must be a graduating senior at a public or a private school in New Jersey. You must have a confirmed offer to study at an institute of higher education and have a letter of recommendation. You will be required to send us a copy of your acceptance to enter our scholarship program. The cash prizes will be awarded in the form of a check made out to the school you will be studying at in 2018. Please submit an original essay of 500 to 1,000 words discussing how ENERGY STAR® appliances in homes and businesses can affect climate change. We are looking for fresh ideas and vibrant presentations. Great images, infographics, posters, art and video will gain you extra points. Please limit audio or video in your presentations to 2 minutes. All submissions will become the property of Argent Plumbing, Heating & Air Conditioning to use and distribute at our discretion. The entrants agree that Argent Plumbing, Heating & Air Conditioning has permission to use their image and any material provided for marketing purposes. We will start accepting entries on June 1, 2018. The deadline for submitting entries is May 1, 2019. Our selection committee will consider your background and submission looking at its originality, creativity and depth of research. We will announce the awards on June 15, 2019. Scholarship winner will be expected to visit Argent Plumbing, Heating & Air Conditioning’s main offices in Chatham, NJ to be presented with their check during a ceremony which will be videoed and photographed for marketing purposes. Argent Plumbing, Heating & Air Conditioning specializes in heating, ventilation, air conditioning (HVAC), as well as plumbing. 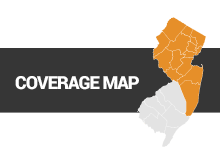 Our technicians have more than five decades of combined experience of working in the Northern New Jersey area and we have locations in Chatham, Summit, New Providence, Bedminster, Caldwell & Nutley, New Jersey. Please contact us at 908-286-1920 for service.